A gift in your will or living trust. You can leave a legacy at Hood Theological Seminary by donating property to us through your will or living trust. A memorial or tribute gift. If you have a friend or family member whose life has been touched by HTS, consider making a gift to us in his or her name. An endowed gift. Create an endowment or contribute to one that is already established to ensure that your support of HTS will last forever. 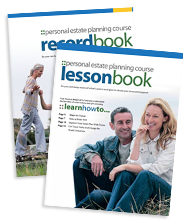 Created a secure future for you and your loved ones with our FREE Personal Estate Planning Kit. Contact Mr. John C. Everett at 704-636-6545 or jeverett@hoodseminary.edu for additional information on giving a gift of personal property. If you include HTS in your plans, please use our legal name and federal tax ID.